“This is a book we prayed we would never have to read; yet, at the same time, it is one that every believer needs to read. 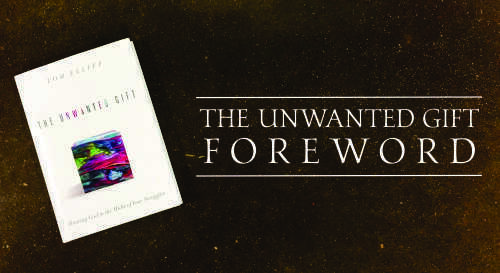 The Unwanted Gift is a revelation from the lives of a godly couple facing adversity, crisis and suffering. 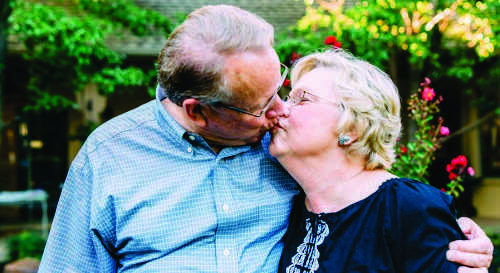 We have been privileged to know the Elliffs as friends, mentors, prayer partners and heroes in the faith. 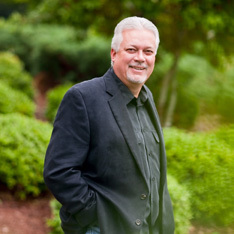 As we watched them face the struggles mentioned in this book, one thing was consistent and clear: Tom and Jeannie demonstrated at every turn what it means to take God at His Word. They did not ask for this gift, but they have gifted us with the wisdom they gleaned from receiving it and trusting God in the midst of it. Their walk of faith has not been an easy one, but this couple never lost their joy or their hope. Tom has spoken at Sherwood nearly a hundred times through the years, and they are like family to this body of believers. As a church, we prayed, listened and learned from their journey. When they were here, Jeannie would sing in the choir; and Tom would always preach on faith, prayer and the victorious Christian life. Tom has been the anchor for our ReFRESH Conference team; and Jeannie was always there to encourage, pray and love on people. Tom and Jeannie have been used by God to remind our church, our family and countless numbers of believers to live out what you claim to believe. We visited with them on Jeannie’s last day in her earthly body. When Terri and I walked into their bedroom, the presence of the Holy Spirit was so thick you could almost breathe it in. To sit with this godly couple in those moments was one of the greatest privileges we’ve ever had.